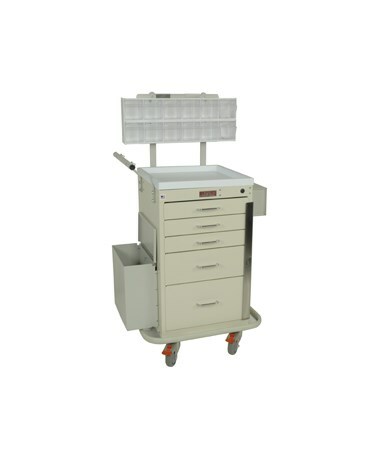 Harloff's Mini Line Four Drawer Phlebotomy Cart brings an impressive range of functionality and durability to the phlebotomy field. This painted steel cart carries a hard-baked powder coat finish available in 16 colors along with latex-free construction and a 12 year warranty. 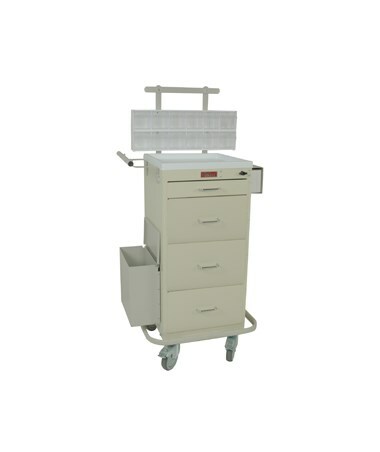 Four steel drawers provide ample storage for any phlebotomy lab. 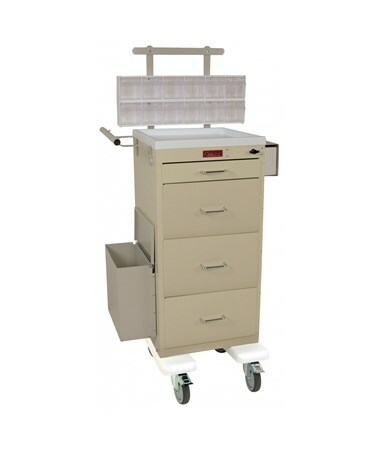 The drawer configuration consists of 30" vertical drawer space holding 1 3" drawer and 3 9" drawers operating on ball-bearing full extension slides. A removable plastic top provides a convenient workspace and a 2-tier raised back rail system holding (2) 6-bin tilt bin organizers adds even further functionality to this cart. Safety and security is addressed by the wrap-around, stabilizing bumper, 5" premium plate casters and three different locking options - Key Lock, Breakaway Lock and Turn Latch (Non-Locking). An impressive accessory collection is included with each cart. 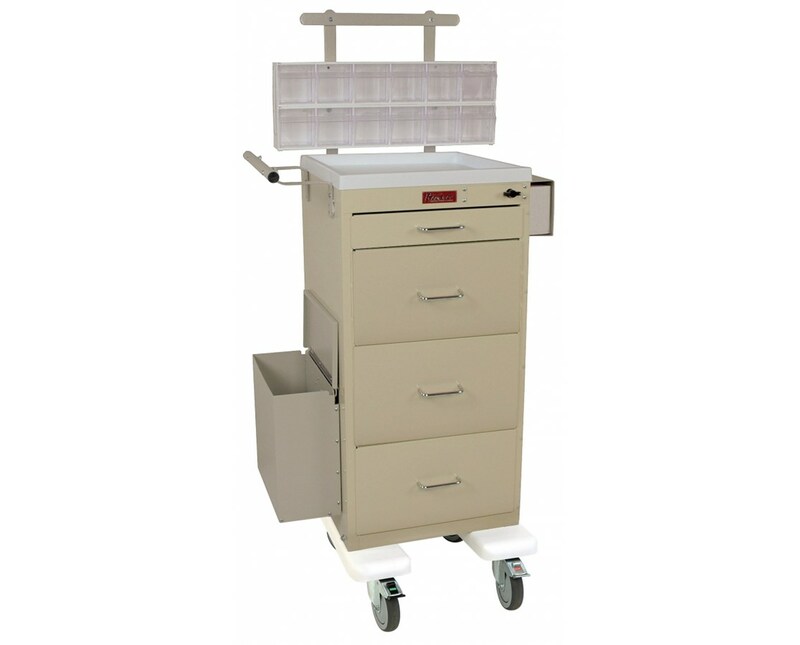 The previously mentioned rail system and bin organizer setup, along with an extended push handle, a single glove box holder and an aluminum waste container with lid make this cart your one stop for all phlebotomy lab needs. We offer Harloff's Mini Line Four Drawer Phlebotomy Cart with three lock options and in 16 colors. Select from the drop down menu above and order online direct by clicking "add to cart!"